22nd March 2018: A call to action. The Government’s initial ‘consultation’ to bring the badger cull to Oxfordshire closed on the 19th March. After 5 years of badger culling, more than 35,000 badgers have been needlessly killed and an estimated £50 million pounds of taxpayers’ money spent. Yet DEFRA are still unable to provide reliable evidence that culling badgers is having any impact on reducing TB in cattle. The Oxfordshire Badger Group strongly object to the plans to bring the cull to our county. We believe that the cull is cruel and ineffective. Vaccination of badgers together with other preventative measures such as improved farm biosecurity provide better and more effective bTB controls. In Oxfordshire badgers are already threatened because of unprecedented development affecting their habitats. The Government’s cull policy may cause the local extinction of badgers in some areas. The majority of Oxfordshire is in an Edge area where TB incidents are low. In a recent study Berkshire, Buckinghamshire and Oxfordshire Wildlife Trust (BBOWT) submitted a number badgers killed on the roads in Oxfordshire to the University of Surrey to be tested, none had TB. There is no justification for bringing the cull to Oxfordshire. Please join the Woodland Trust, National Trust and Berkshire, Buckinghamshire and Oxfordshire Wildlife Trust and others who have already made statements that they will not allow any badger culling on their land and do not support the cull. 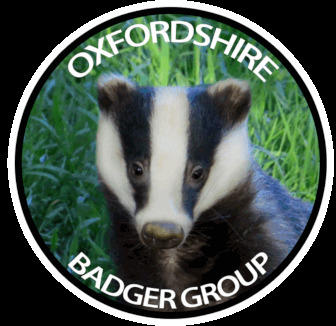 We invite you to provide a brief statement of your position on the Oxfordshire badger cull. We are asking landowners to provide public confirmation that you will not allow culling on your land. This information will be used to support our campaign. Thank you for your time in reading this. We look forward to hearing from you.